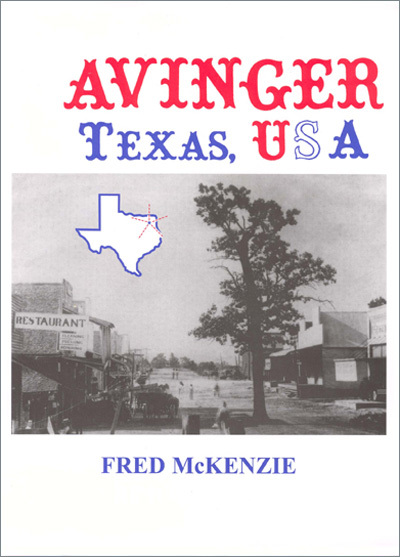 The early communities of Youngs Chapel and Hickory Hill later merged to become Avinger, and no one knows more about that town than Fred McKenzie. His second volume is packed with photographs, maps, and documents as was the first one, but he has also added 62 genealogical charts of the pioneer families of Avinger. He has produced the kind of town history which tells it all – the folks who settled the area, their background, their businesses, and their progeny, and the relationships and connections that developed among them. 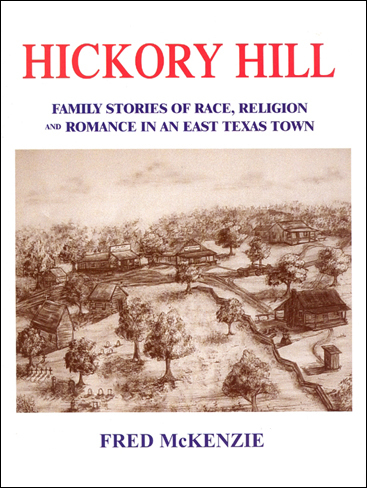 Anyone who grew up in a small town in America will see their own childhood reflected in the story of Hickory Hill. The author moved to Avinger at the age of four months, and has become its historian and chronicler. The small town is in Cass County, northwest of Jefferson in East Texas. McKenzie first published his two volumes of regional history in 1988, this first volume covering the town of Avinger and the second about the village of Hickory Hill. He now issues an updated fourth edition of Volume I, and plans to reissue Volume II in the near future. A big handsome book packed with photos and drawings, it has been called “an exemplary history of an East Texas town” in the “East Texas Historical Association Journal.” “It reads like a William Faulkner novel or a Mark Twain story more than a conventional local history,” says reviewer Dr. Ralph Wood. McKenzie is a semi-retired real estate broker, turned book merchant, who at the age of 85 still enjoys flying his Cessna 150.